When and where was your first concert with the MCO? My first MCO concert was in 2016 in Katowice, Poland. What’s the best thing about playing with the MCO? For me, the best thing about the MCO is the flexibility of every single musician. With the MCO, it is always about music. You don’t experience this in every professional orchestra. The goal is to find the best way to play great concerts and everyone is completely dedicated to the music. The best thing about being a musician is definitely that my hobby has become my profession. Not many people are able to say that about their job. If I had to work in the same office every day, I wouldn’t be able to experience these moments of commitment and emotion. Music also allows me to meet great people in wonderful places and to be inspired, again and again, by amazing conductors and soloists. I love the concert situation during which everyone gives his or her best to make every moment special. All of that makes me feel very happy and honoured. Definitely the cello. I love its dark and warm sound which we violinists sadly can't produce. I remember dancing, as a child, in my parents’ living room to Aram Khachaturian’s Sabre Dance. The other piece I remember is George Gershwin's Rhapsody in Blue. I loved this jazzy sound. Unfortunately I haven't played either of them in an orchestra yet. Born in Dresden in 1991, Anna Matz started playing the violin at the age of six as a student of Andrea Eckoldt. Since 2009, she has been studying with Friedemann Eichhorn at the Hochschule für Musik FRANZ LISZT in Weimar, where she received her Bachelor’s degree in 2013 and her Master’s degree in 2016. She is currently working towards her Concert diploma. Anna has had numerous successes in national and international competitions. As a First Prize winner in German Federal Young Musician Competitions from 2007 to 2009, she received scholarships from the Jürgen Ponto-Stiftung and the Sächsische Mozart-Gesellschaft e.V. In 2010, she won Second Prize and the Prize Committee of Honour (for the best interpretation of a piece by J.S. Bach) at the Andrea Postacchini International Violin Competition in Fermo, Italy. Anna has performed as a soloist with orchestras across the world. In recent years her solo concerts have led her to performances in the Czech Republic, Italy and South America. In 2016, she played as a soloist with the Klassische Philharmonie Bonn at venues such as the Laeiszhalle Hamburg, Meistersingerhalle Nürnberg and Kultur- und Kongresszentrum Liederhalle Stuttgart. As an active chamber musician, Anna has given concerts at various international music festivals, including Westfalen Classics and Zermatt Music Festival & Academy. She has received scholarships from Villa Musica Rheinland-Pfalz, Yehudi Menuhin Live Music Now Foundation and the German Academic Scholarship Foundation. She has also participated in masterclasses with Yair Kless, Friedemann Eichhorn, Igor Ozim, Mauricio Fuks and Pinchas Zukerman. Anna has held the roles of concertmaster or principal second violin in orchestras such as the Gustav Mahler Youth Orchestra under the baton of Christian Thielemann, Marek Janowski and Philippe Jordan. Additionally, she was a member of the Berliner Philharmoniker’s Orchestra Academy from 2013 to 2015. 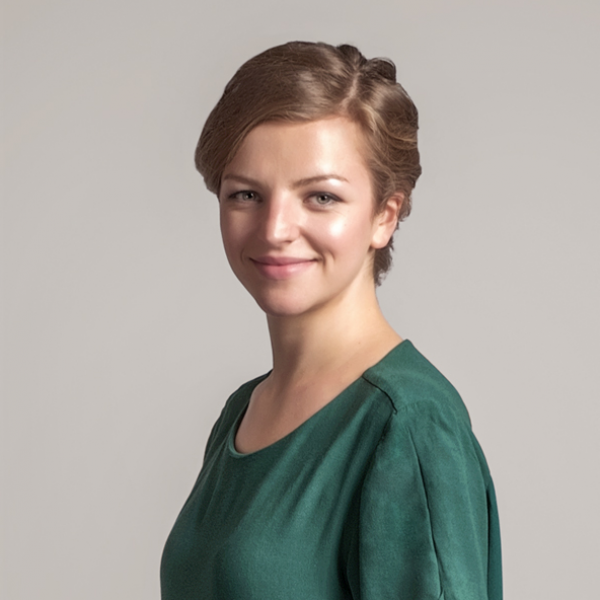 Anna works regularly with orchestras such as the Berliner Philharmoniker, Rundfunksinfonieorchester Berlin and the Deutsches Symphonie-Orchester Berlin. She has been a member of the Mahler Chamber Orchestra since May 2017.